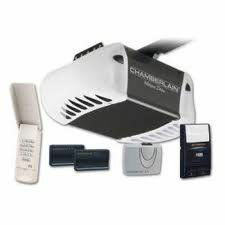 Garage door openers have become more useful today, and are not only installed to protect the home from intruders as well as rain, snow and insects. Like other equipments, their parts and components also become victims of daily wear and tear. A garage door's tracks are actually composed of four separate pieces, two vertical and two horizontal pieces which are joined together by flag brackets. Fixing the door opener's tracks will depend on the level of damage it received. 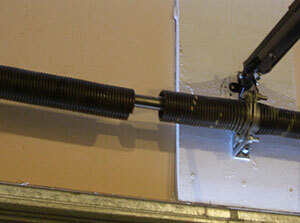 Here are a number of useful ideas on how to fix issues like garage door off track. Garage openers can easily be repaired today, either through a do-it-yourself approach or by a reputable garage door repair service. For repairing tracks, tracks that are out of alignment do not need removal, but extensively-damaged tracks require immediate replacement. Today, you can purchase replacement track blanks and track brackets from garage opener dealers and home-improvement stores. Fully open the door first, and make sure the bottom roller is above the seam, between the horizontal and vertical tracks. Check the two fasteners which connect the vertical track's top to the flag bracket. Drill the pop rivets from the track and flag brackets, but do not loosen the flag bracket. Position the new track under the flag bracket, and attach the track brackets to the wall, but do not tighten it all the way yet. Insert one-fourth machine track bolts in the track's top, and secure the bolts from the other side with nuts, and tighten then with a socket wrench. For realigning the door opener's tracks, garage door repair Hacienda Heights technicians suggest that you first close the garage door, and measure the track's inside edge using a tape measure. The ideal spacing should be one-half inch. Next, loosen the lag bolts which secure the track bracket to the wall, using a socket wrench, until you achieve the desired ½ inch spacing.